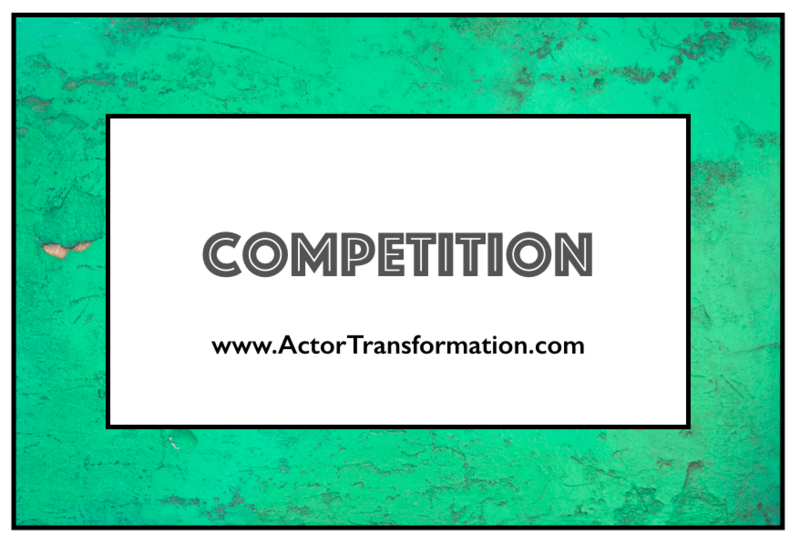 Having worked with thousands of actors, I know many actors have dealt with insecurity when comparing themselves to others or when sizing up the competition in the acting industry in general. So let’s have a quick chat about “Competition” … and what it means for YOUR career. Actors also sometimes hold back in their careers because they are comparing themselves to others. They might not send out their marketing materials because they are waiting for everything to be “perfect”. Maybe they looked at another actor’s info who has more credits. So since this idea is already out there… let’s address this issue so you develop a healthy relationship with the whole competition thing. Liking a challenge is one thing…. But the idea of competition does not mean you have to be ruthless or step over other people to get ahead. Even though we have all heard Hollywood horror stories, Please know that even though there might be some jerks in this business, there are also tons of really wonderful kind-hearted souls out there that are willing to help actors in there careers. On the surface, that might make you nervous to hear, But let’s just look at this as an opportunity to up your game. There are millions of people who call themselves actors in this world. So the healthy part about knowing this is that it can push you to be more prepared, work on your craft on a weekly or even daily basis, and to make sure that you conduct your career like a real business. And one of the best things about knowing that there are a lot of actors, is that you NEED to know and you can take comfort in the fact that many times, whether you get the job or not, is NOT about you! After a certain skill level has been achieved in your craft and business…, many times you booking the role or NOT booking the role is out of your hands. Maybe they already hired too many brunettes so they decided to hire a red-head. Or you are a guy and they changed to role to be female. Or the role you were auditioning for got written out of the script at the last minute. Or you remind the producer of their ex so they don’t hire you. This kind of stuff happens all the time. And it is NOT personal. (Even though it sure can FEEL personal to us right?) But, right when you leave that audition room, your job is to move on and let it go. When you have been in this business for a while, You start to notice how many actors really earn the stereotypical “flaky actor” reputation. But it is a bit deeper than that. When I say that “most actors are not willing to do the work”, I mean that they are not willing to do whatever work is required of THEM. And that can be different for every individual actor. For instance…They might be putting in work and effort when it comes to going to acting classes and prepping for auditions, but maybe what they are NOT willing to do is to work on their MINDS / their INNER Game, so they are coming across to others as negative, or a little crazy, or too needy. Remember that a lot of actors lose the role because of what happens before and after the actual ACTING part of an audition. Another way is maybe they aren’t willing to do the self-promotion and press that scares them. Or maybe they just are not willing to do whatever is required of them to break through to the next level. THAT is what I mean when we talk about how most of your competition is simply “not willing to do the work”. There is only one YOU. You are one in a million. You are special. There is not another actor on the planet that is exactly like YOU. There is only ONE actor with your exact look, skill set, mind, and soul…and that is YOU. And no matter what that is, there are roles out there for you… you just have to learn how to find them, how to be ready for them when the opportunities present themselves, and how to knock them out of the park when you do book them. So… even though there may seem like there is an endless stream of “competition”, please know that there are many ways to improve your odds. First and foremost, by doing the work and staying in ACTION. And know that that your only TRUE competition in your career… is yourself!